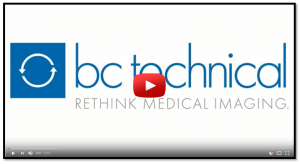 BC Technical is the largest non-OEM provider of Diagnostic Imaging Solutions and Services. We provide the same level of resources, quality and expertise expected from large OEMs with the added flexibility and value expected of smaller Independent Service Organizations (ISOs). BC Technical offers refurbished NM, SPECT, SPECT/CT, PET, PET/CT, CT and MRI systems from all major OEM’s, nationwide on-site service in all 50 states and personal technical/clinical support – all with uncompromised reliability, quality and value.